It’s a great #Fridayfeeling at Evans & Partners this morning. 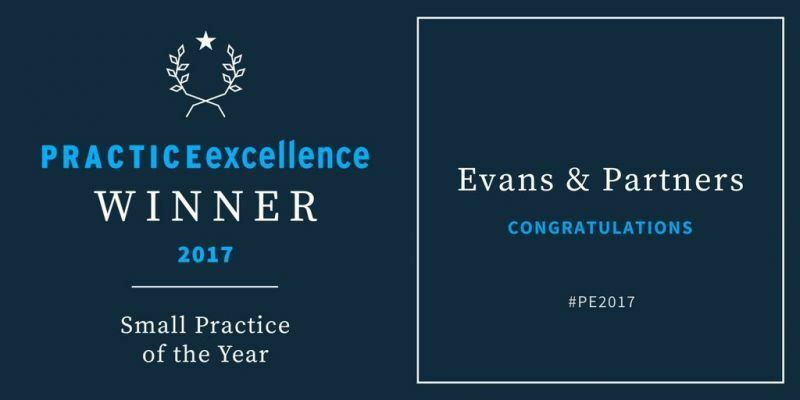 We have pinched ourselves and yes, this Bristol Accountant has indeed won Small Practice of the Year 2017 at the Practice Excellence Awards. 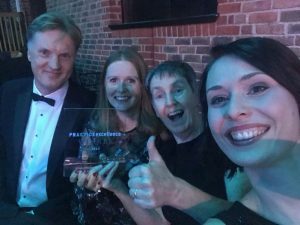 Olly Evans, Cathy Nech, Diana Britton and Angela Evans were on the edge of their seats last night at The Brewery in London as Rachel Riley (of Countdown fame) announced the 5 firms shortlisted nationally for the award. As Rachel expanded on the firm that had won, the penny started to drop that we needed to head for the music and lights of the winner’s podium. 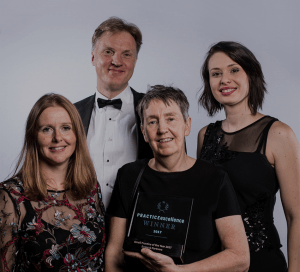 Our mantra of outstanding client service, coupled with brilliantly helpful technology has propelled this long-standing Bristol firm into pole position. Since Stanley Evans founded the firm 75 years ago next year, the essence of Evans & Partner’s message has been one centred around helping Bristol business to succeed. If you would like more information please contact client.service@evanspartners.co.uk or call 0117 9675215. We’ll be delighted to help.